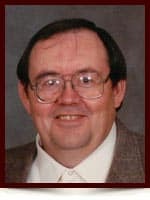 Jerry Allen Higgins - Edmonton's Burial & Cremation Professionals | Trinity Funeral Home Ltd.
On Dec 18, 2014 at 2:30 pm at the Grey Nuns Hospital in Edmonton, AB Jerry Allen Higgins, age 69 passed away surrounded by his wife, daughter, grandchildren, and friends. He courageously fought a four year battle from a rare form of brain cancer. He will be lovingly remembered by his wife Judy of 47 years, his daughter Traci (son in law Thomas) and his grandchildren Onika and Hugh, his mother Evelyn, brothers David (sister in law Patty), Rick (sister in law Tara, nephew Alexander), sisters Dianna (niece Robin and nephew Jason), Valerie and Adrienne (brother in law James, nephews; Ryan and Shane), and Jerry’s nieces (his youngest brother Darrel’s children) Amy and Amanda, and many other family and friends. Jerry was predeceased by his youngest brother Darrel and his father Frank. Due to the nature of his illness, Jerry was cremated. His final resting place will be within the family plot in Calgary to take place in the Spring of 2015. LightHouse Fellowship, Wetaskiwin, AB for the building of a new place of worship, which was an expressed desire of Jerry’s. the coal mines where your Dad worked, the one room school for 8 grades. Your family got settled in Calgary, life was harder (or better), it was hard to see. You became strong and sure and were quite mature when the time came for you to leave. You were working by 10, a little adult by then, but hard work never did make you groan. I certainly ‘wasn’t looking’, but you were nobody’s fool. You chased me around the Gibson’s Store at Christmas time that year. By March we started dating and engaged by Grad, Oh dear! We married in November, not a penny to our name. Hard work and perseverance kept us going, just the same. At age 29 our baby came, it was time to settle down. We found good jobs in Edmonton, we liked this northern town. You built our house, we found new friends, who were faithful all your life. We loved – we laughed – we lived, and our faith brought us through times of strife. Worked day and night sketching plans, doing it ‘right’ I was in there too by admission. You didn’t care for being bored, and you often paid the price. Projects were always what you liked, the school, the church, who knows? Your tools and equipment were always close by for the need just continued to grow. I’d be embarrassed asking them, but you weren’t the least bit timid. You didn’t complain, you went on all the same – you set your hopes on heaven. You were sure you were well & we couldn’t tell. You kept working & building & driving. Your schemes and your dreams – you saw them all out. To you, life was worth all the striving. Your focus was changed, and life rearranged – cares removed as you laid them all down. I look back at your life, 47 years your wife – you gave what you could and more. Your suffering is done, as you feast with God’s Son, at least that’s what I’m hoping for. I spoke with Linda D today and learned that Jerry passed away. Greg and I are so sorry for your loss. Thank you for writing this poem as you conveyed beautifully so much about this man and it was a pleasure to learn more about Jerry. No question you have a tough year (s) ahead of you as you and your family adjust to his absence. May your faith in God sustain you and give you a peace that truly passes understanding. So very good to know that you remember us Gayle (and Greg), and delighted that you took the time to offer condolences. Thank you Linda for being there at Jerry’s Memorial, and for stopping and talking a bit and for that assuring hug. Hope we cross each other’s paths often. Please accept our deepest condolences upon learning of Jerry’s death and that we wish you peace and acceptance. It has been a tough four years and Jerry is in a better place. I will remember Jerry for his indomitable, “go for it” drive and personality, and all the lunch hour and coffee break laughs we enjoyed, discussing and solving work and life challenges. I consider myself lucky to have known ” Big Jerr”! Hey Sue, you and Jim have been good friends ‘forever’. I hope one day we will find an opportunity to take the grandkids on your fine little pony like you mentioned at the Memorial. Thank you once again for ‘being there’. So sorry to hear about your loss… Thinking of you in your time of sadness. Thank you Hayden, I appreciate your thoughtfulness. Hopefully Wayne Pipke would share the link to our Memorial service with you if you would be interested. You were a fine person to work with. Thank you for those precious scriptures and for you caring comments. You two have been wonderful people to get to know over the many many years – so strong – so stable and so supportive. God bless you! I was saddened by the news of Jerry’s death. In the many years I knew him, he was always in good spirits even if we we solving difficulties together. My prayers and sympathy are with you all at this time. Thank you Christopher. You weren’t ‘ just our trusted lawyer’, you were a friend of Jerry’s and still I consider you a friend of mine. Your advice was always sound and appreciated. Your prayers are also appreciated. I’m sorry to hear about Jerry passing away and the struggle that he had these past years. I had worked with Jerry for many years, shared some coffees, lunches and many laughs. Even though I had not seen him since he became ill, I am glad to hear that he was optimistic and that he managed fight it for as long as he. Jerry will be missed by many. Thank you Bob. Yes, he will be missed. Judy – So sorry to hear about Jerry. I will see you soon. Take care. I look forward to when we meet again. I hope it is soon! That’s a beautiful poem, Judy! continuing to pray for you and your family. I am so sorry to hear of Jerry’s passing. We had worked together for over 25 years. I know he suffered and his quality of life was not good these last few years. I am sure he is in a better place now. Judy, your poem was very touching. My sincere condolences to you and your family. I was impressed to hear that you had attended Jerry’s Memorial, but saddened that I was unable to visit with you just for a moment, as you didn’t stay for the luncheon and I didn’t stay to thank those of you who attended for coming, or to say my farewells. Judy and family, please accept my sincere condolences with your loss of Jerry. Christine, you were very special to Jerry over the years, and are still special to me today. I was so pleased to see you at his Memorial. Thank you for being there. Dear Judy, although I am thousands of miles away, my thoughts and prayers are with you always. I know you and Jerry had some difficult years and I wish I could be near to you now. I will never forget it was Jerry’s idea to give me a home 17 years ago. I will always be thankful for this opportunity because it gave me the priviledge to get to know a wonderful family. Both of you were part of the most wonderful time in my youth. I am so sorry, Jerry had to pass away a bit to early in life but God ways are higher than our ways. And I know that in every sorrow God’s comfort is very close. We, as a family, keep you in our prayers, also Traci and her family, and hope to see you soon again. You were mentioned in the Eulogy Corinna, and so you should have been, as we both loved you like a daughter. Your prayers are very meaningful to me and I long to be with you now as well. I hope to travel to Germany in the near future and of course you will be the one I will look for. Judy, our prayers continue with you and your family. May each of you be drawn closer to our Wonderful Lord. Please accept my sincere condolences on the loss of Jerry to your family. I knew Jerry in my capacity as an assessor and he was an excellent colleague. My prayers are with you and yours. Thank you Suzanne, I appreciate your comments, and your expressed thoughts of Jerry as a colleague of yours. Judy, I was so sorry to hear of Jerry’s passing. Although we hadn’t worked together for many years, I will always remember Jerry for his ongoing construction projects and the meticulous detail to every phase of a project. It never ceased to amaze me. You and your wife remained friends of ours over the years in many capacities. How interesting to be able to interact on so many different levels. I didn’t know Jerry that well but he was always a pleasure to converse with. It’s sad that he’s passed and I wish all the best for the family. One thing I can truthfully say about Jerry is that he loved to talk. Thank you for your expressions Travis. Judy.. as you begin 2015, may it be a time of closeness with the Lord and family. Sharing into past memories of Jerry , and keeping him alive in the heart with all the fondest and loving memories. Our time with your family was short, but we have not forgotten the times spent. Psalms 115:11 Ye that fear the Lord, trust in the Lord: He is their help and their shield ….. Thank you for the verse, your prayerful thoughts and love. We did struggle with Jerry’s illness but we are very thankful that he didn’t have pain. Judy, you’ve been in our thoughts and prayers continually. We sorrow with you in your loss – even while we rejoice that Jerry has been set free from the disease and struggle of this earth. Thank you for being there at Jerry’s Memorial. You guys have been a rock for me in the short time I have known you. It is my hope that our friendship simply deepens in my future. Judy our thoughts are with you. Jerry was a great person to work with! Keeping you in our thought and prayers!